EVERY SENIOR CITIZEN AND BABY BOOMER NEEDS A ROBOT - FINALLY! magazine 55 plus Magazine, Generation X Magazine, Baby Boomer Magazine and Senior Citizens Magazine The Premier Magazine Just for Me! Every senior citizen and baby boomer needs a robot! Robots have the ability and intelligence to do more than carry our soda cans and juiceboxs to entertain the wee babies. They have the ability to take care of us, to serve, to clean, to keep us company. The simplest robots are the one’s that help us with our mundane, but necessary tasks; and consequently those are the robots we want the most. As we senior citizens and babyboomer age, we often find somesort of difficulty at one time or another in chores and tasks and that’s when a robot could be introduced. Once experienced with a robot, the uses are time saving ability is appreciated more and more. We all have robots in our homes. Our first robots were our washing machines and our coffee makers. The next generation of robots within our homes were, and still are, robot vacuum cleaners. The ones that you simply set, place, and push the “on” button; time saving, energy and effort efficient, as our robots are expected to be. Today, in addition to basic robots, we enter the world of smarthomes. Smarthomes are driven by the connection of applications from our mobile to connect and control the basics, for now, of our homes; and, one day, that will include more complex robots. Enjoy the robot experience and find the ones that good for you. Before long, you will find them indispensible. 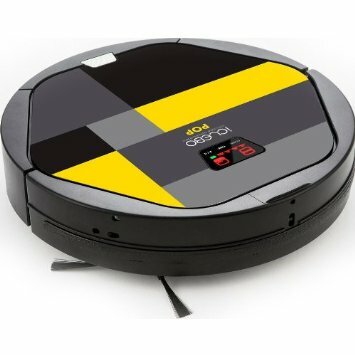 It is recommended to begin the most smart home, modern robot experience, with the simplest of robots, such as the, robot vacuum.